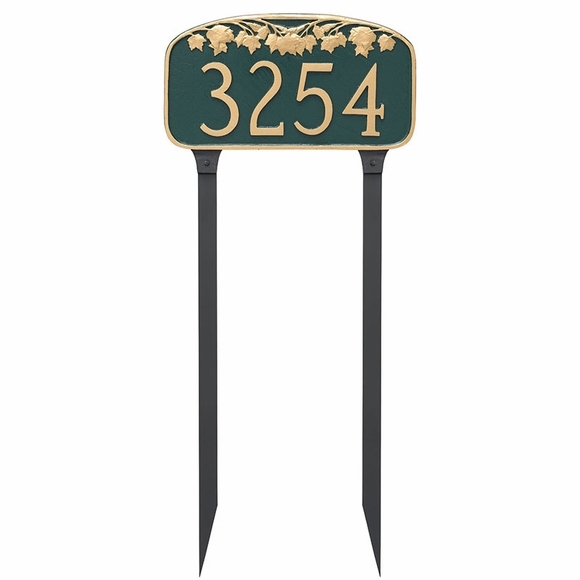 Custom House Number - - lawn mount Maple Leaf address sign. One line tree theme address plaque accented with a slender branch of maple leaves. Made in USA. Address shown above: 3254. Solid cast aluminum address plaque. Made in the USA.